MENT, a.k.a. 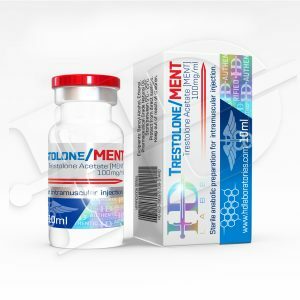 methylnortestosterone acetate and as trestolone acetate (the chemical name of active ingredient in MENT), is an oral derivative of the anabolic steroid nandrolone. MENT was initially developed for androgen replacement, however it encompasses a vast number of treatment applications including testicular failure, contraception therapies, bone mass loss, BPH, prostate cancer, cachexia and muscle wasting, primary hypogonadism, ASIH, baldness, and sarcopenia. The reported plan is to release MENT in oral, injectable, implantation, and transdermal forms, but it is not yet available as a prescription drug. For the Indications/Purpose of MENT see the Deca-Durabolin profile. MENT, however has a much shorter half-life. Again, MENT aromatizes more like a testosterone than a nandrolone. Thus, for the side effects of MENT see Testosterone Propionate.